Bartenders make for some of the best food critics. For one, they value their evening hours more than most. With maybe one night off per week they tend to choose where to eat very carefully. And they appreciate the subtle interplay of flavors too. The commonalities between a well-balanced dish and a well-balanced cocktail are obvious. Plus, their working hours mean that while most of us are sleeping they’re out looking for the best late-night bites. 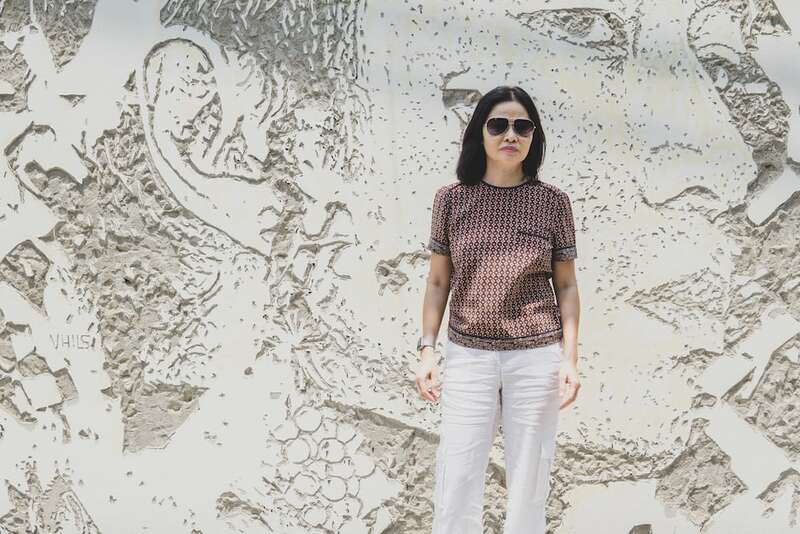 So, we sought out five industry leaders, from a new-in-town bar manager to the owner of one of Saigon’s most iconic drinking dens, to tell us about their favorite places to eat in the city. Back in 1992, there really weren’t many places for a classic cocktail and good music—especially not venues that were gay-friendly too. Q Bar changed that. And they did it beneath one of Saigon’s most iconic buildings. The club “in the bowels of the Opera House” became an institution thanks to its eclectic decor, European DJs, and cocktails like their passion fruit martini. 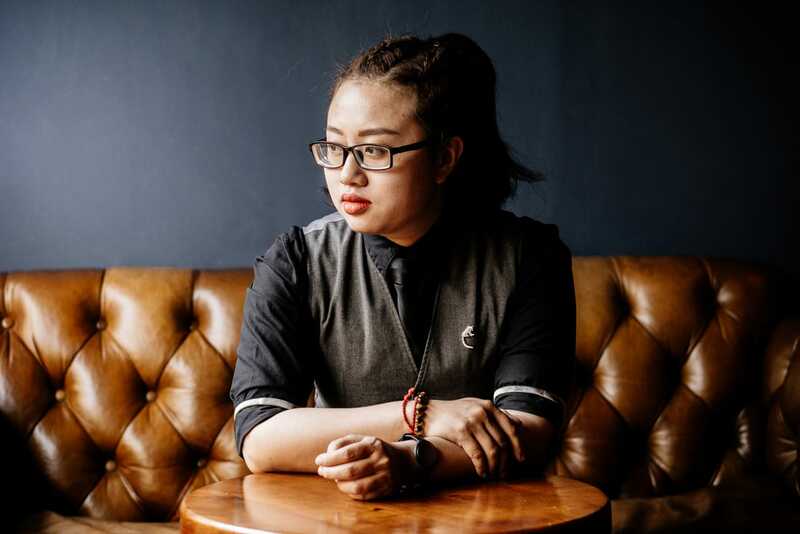 Recently, owner Phuong Anh reopened the bar in District 2 to be a part of the district’s booming bar and restaurant scene. Phuong Anh Nguyen Owner Of The Q Bar. Where do you go for your fix of street food? Without hesitation, I’d say “banh cuon” inside Ben Thanh Market. I’ve been going to the same lady at stall #1006 since 1991. It’s the perfect place for lunch after a morning spent shopping. Where’s your favorite place for a date? Quince is my favorite right now. I’ve known and trusted Dominik [the general manager] since he worked at the Nam Hai. Quince’s decor is nice and relaxed, the service friendly and informal, and the food is perfect for sharing—the steaks in particular are perfectly cooked. I usually order the wagyu onglet steak, but the flat iron steak and the wagyu bavette are both great too. Where’s your favorite after-hours or late-night spot? Q Bar. Well, it’s my place after all! But there, I can hangout with both customers from the original Q Bar and new customers we’ve connected to in District 2—it combines both lives of the bar. We keep the cocktails classic and offer good deals on champagne in case the night turns into a celebration. 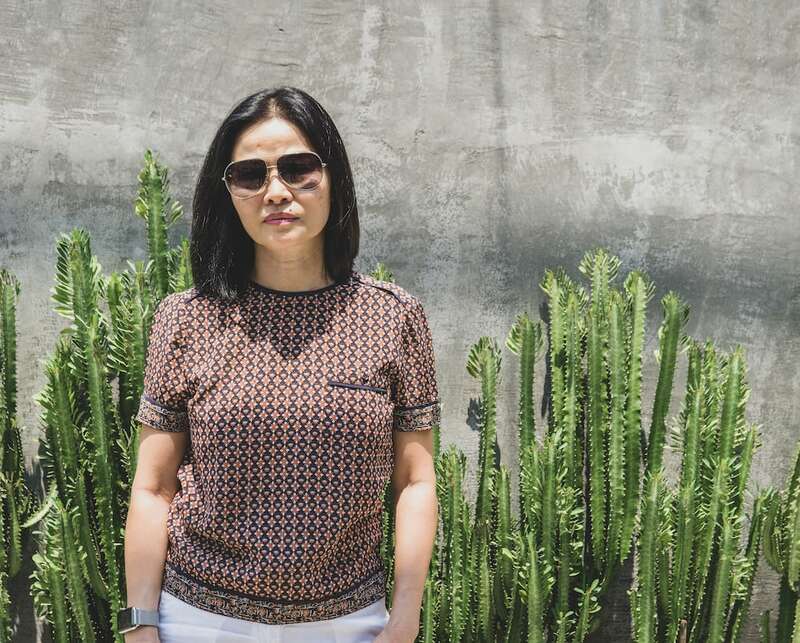 Owner Phuong Anh reopened the bar in District 2 to be a part of the district’s booming bar and restaurant scene. Alternatively there’s Xu Restaurant Lounge. It’s owned by my good friend, Bien Nguyen, who I’ve co-marketed events with many times. The staff know me there and the service always makes me feel special. Where do you take guests new to the city? If it’s lunchtime, we’d go to Le Corto. Their set lunch is great—I usually order the salmon. They have great wine, and they regularly invite guest chefs over. It’s simple but intimate. In the evening, I’d take them to Tomatito Saigon or The Fish Sauce. Tomatito has fun decor, good shared tapas, and friendly staff and owners. I recommend the scallops and ceviche. The Fish Sauce (Level 6, 41 Le Duan) offers simple but high-quality Vietnamese food. It’s more of a lunch place, I guess—bright and airy in the daytime. And they do good bun bo hue and goi cuon. After that, we might go to Layla Eatery & Bar for a plate of oysters and some negronis and martinis. It can get a little noisy in there, but it’s a great central spot to entertain—and the noise is testament to their success. Then we might continue on to Snuffbox—one of the first speakeasies here—where the champagne is always cold but where the staff are always warm. Which secret place are you reluctant to share with anyone? Birdy Bar. It has great bar food and drinks with a Japanese twist. Then there’s a hu tieu place I like—at 72/30 Ngo Tat To. It’s hard to find, but worth the effort. When you’re there, order the beef balls and wantons. Or for cold beer, amazing fried spring rolls, and great snails try Oc Tro Lai on Phan Xich Long. It’s especially good for groups or parties. 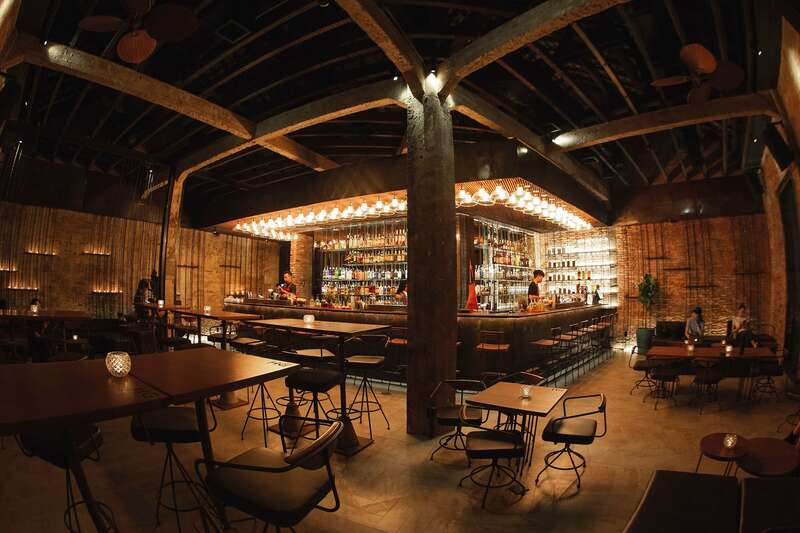 Since they opened in September last year, Drinking & Healing have made a major impact on the cocktail scene in Saigon. Besides a series of guest shifts and events, the team have restlessly innovated. 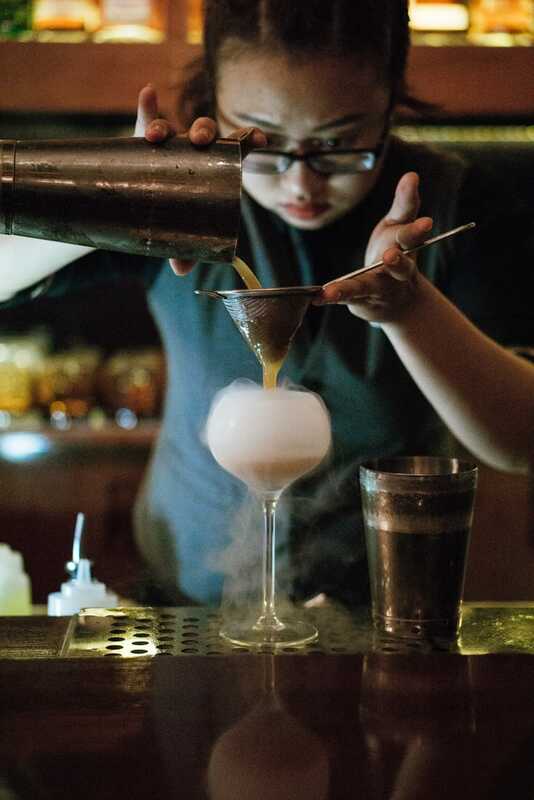 Bartenders like Vu Doan Vien Du serve barrel-aged negronis and vieux carres and other specials served in inflatable flamingos and glass boxes filled with smoke. Or ignore all that, and ask supervisor bartender, Vu Doan Vien Du, to make you something based on your mood. Vu Doan Vien Du Supervisor Bartender At Drinking & Healing. Being a Vietnamese, you might have guessed that I don’t go to McDonalds. The street food in Saigon is rich and diverse, delicious and cheap. My favorite is broken rice with pork rib. That would be my desert island dish—I could eat it every day without getting bored. As a bartender at Drinking & Healing, we work late. So, this is a subject we know a lot about. Me and my friends love a bowl of hot noodle at Hủ Tiếu Nam Vang Thành Đạt in District 1. 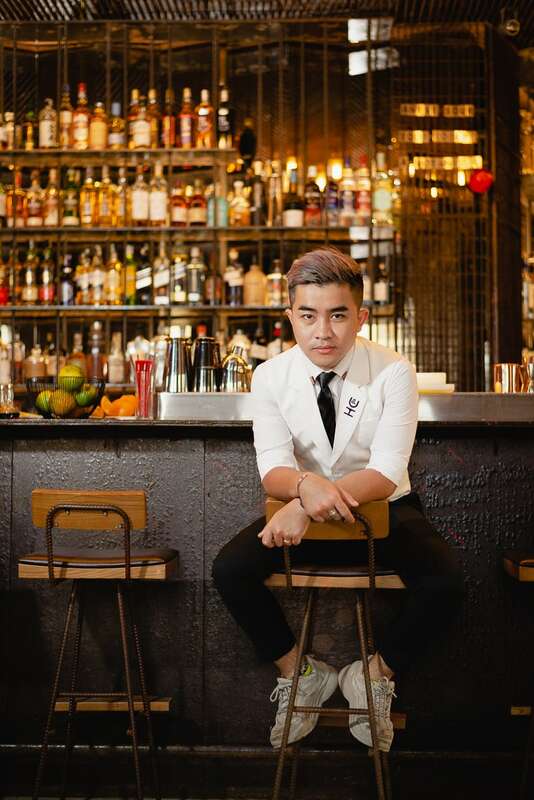 Bartenders like Vu Doan Vien Du serve barrel-aged negronis and vieux carres and other specials served in inflatable flamingos and glass boxes filled with smoke. I’d take them to District 4 for that quintessential Saigon experience—eating snails and seafood amidst the mayhem of Vinh Khanh Street. The snails and seafood are always perfectly fresh there. I’ve taken lots of people from overseas and they’ve always loved it. Try Quán Ốc Thảo 2 for their curry crab. My secret would be along Vinh Khanh. It’s a place called “2 Nang.” It’s a hotpot and grill restaurant, and the seafood is especially good there. 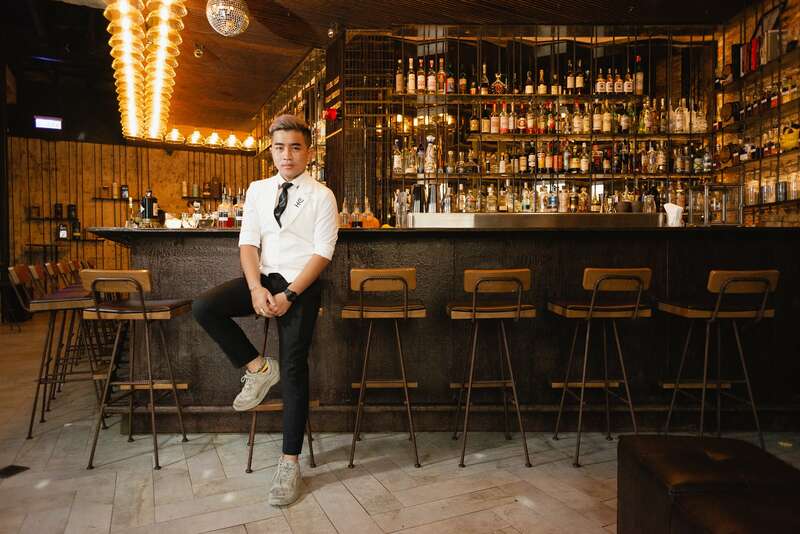 Layla’s eleven-meter bar draws a predominantly local crowd keen to test cocktails like their fishbowl sized gin and tonics made by bartenders like bar manager Thep Dinh. In fact, Layla Eatery & Bar has been so successful since opening in 2017 that they have two more major projects planned to open this spring. 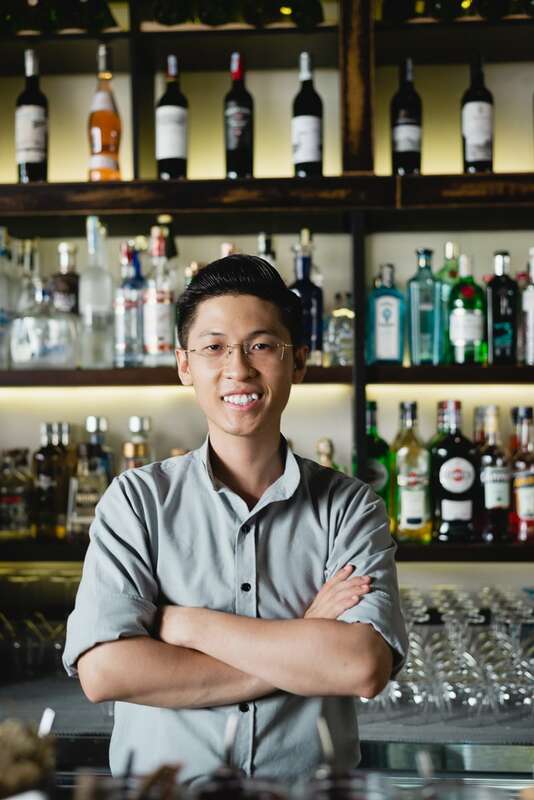 Thep Dinh Bar Manager At Layla Eatery & Bar. Well, street food is my favorite—banh mi, banh beo, banh xeo, banh gio, banh cuon, banh mi hap, mi quang, hu tieu nam vang, mi hoanh thanh…I could go on forever. Fortunately for me, I live in Tan Binh District. The whole area is crowded with street food restaurants. It’s very cheap, around VND20,000 per dish, but the quality is high. If you have chance, then visit. It will blow your mind about Vietnamese food and culture. Check out the ‘Mì Gà Quay’—grilled chicken with noodles—at San San. Or the Bun thit nuong at Hoàng Văn (137 Chấn Hưng Street) which is great too. My favorite places for dates are Japanese restaurants. Saigon has so many to choose from—particularly around Layla towards the Japanese area. I recommend Sushi Sen in the Saigon Center and Yume Sushi off Tran Hung Dao Street further towards District 5. Closer by Layla, I like Doraemon Caca on Dong Du Street. It’s been around a while, and the decor is incredible—with tributes to manga and anime everywhere. I order the unagi maki, salmon sashimi, the bento, or the mori-awase set. If I’m dating someone more serious, we might go to Golden Lotus Healing Spa and eat Korean food after a serious sauna and massage session. Saigon has so many great places to choose from. What’s your favorite late-night or after-hours spot? The street food stalls around the markets in Tan Binh open late, so I often stop on my way home. There’s Banh beo around Bà Hoa Market, and Chao suon—rice soup with pork ribs—around Hoàng Hoa Thám Market. It’s a really hearty and wholesome late-night dish. Perfect before sleeping. Where do you send visitors new to the city to eat? I always recommend they start with our Layla Eatery & Bar for happy hour then depending on their mood, I might suggest they go over to Anan, for new Vietnamese cuisine, or to El Gaucho or Moo Beefsteak if they want to eat some meat. What’s the foodie secret you’re reluctant to tell anyone? My one secret is not a restaurant, it’s a place called Baron Bar. It’s a Japanese-style cocktail bar in Dakao with only eight bar seats and a small private room. You might remember Irusu Lounge’s location as Cafe Casbah—the bar that opened during Saigon’s shisha trend five or six years ago. It’s unrecognizable as Irusu Lounge. That’s due to the sleek, dimly-lit downstairs and upstairs bars with sinister photos of the Yakuza by Belgian photographer Anton Kusters. And there’s a mural made from nails that references traditional Yakuza tattoo techniques. But before all that, you enter through a polished brass door that contrasts sharply with the dark alley that leads up to it. 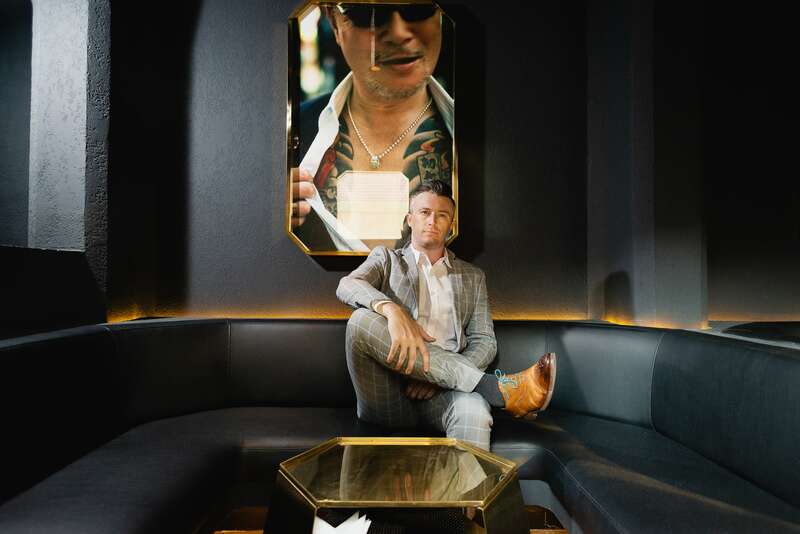 There you’re likely to meet the imposing figure of David English, Irusu’s general manager. David English General Manager Of Irusu Lounge. The hem off Hai Ba Trung before the crossroads with Le Thanh Ton—Hẻm Ăn Vặt 76. It’s well-known but still satisfying. There are something like twenty vendors lined up there. Going in, it feels like there’s anything you ever imagined or desired right there in one location—bun thai, bun rieu, com ga, and bun thit nuong. I think you could feed yourself for a week with just VND200,000. That’s a tough one. The location you choose for a date says a lot about your expectations—and it might even set the tone for your future relationship. I’m choosing Quince for obvious reasons—the central but secluded location, the creative sharing plates of food that are good conversation starters. If it’s a lunch date, as we haven’t committed to dinner yet, I’d choose District 2’s MAD House. It’s breezy and tropical in the garden and the tranquility inspires relaxed conversation—as do the frozen margaritas which remind me of my time in Las Vegas. If it’s the prelude to a fun night out, I would also choose another place in District 2—The Deck. It’s romantic with those river views, dimly lit, and shows you’re serious about the date. I’d call ahead and book a table right by the water for extra points. I love getting lost in the alleys of Japan town off Le Thanh Ton. I love getting lost in the alleys of Japan town off Le Thanh Ton. They have this otherworldly, forbidden kind of feeling that I love. Try Bar Oza for a fun drink that hints at the seedier side of this area, or Gyoza no Chikara on the corner. Sit at the bar, order their gyoza or spicy karaage and a high ball, and enjoy watching the action outside from a safe place. Where do you take visitors to the city to eat? Of course, we’d try Renkon to show them another venue in our Eight Four Collective’s group. The cocktails are inspired, the oysters fresh, and the decor shows Saigon as modern and internationally-minded. But besides that, as we are in Vietnam, it has to be a trip to see the Godfather of Vietnamese cuisine, Peter Cuong Franklin at Anan. I’d book the table downstairs by the window so the guests can enjoy the banh xeo tacos while they watch the frenetic activities of the market outside. Then we’d head to the rooftop for pho cocktails and maybe some sticks of tamarind- and coffee-flavored candy floss dessert. I can’t tell you that. I know you’ll publish my secret and then I’ll have none left. 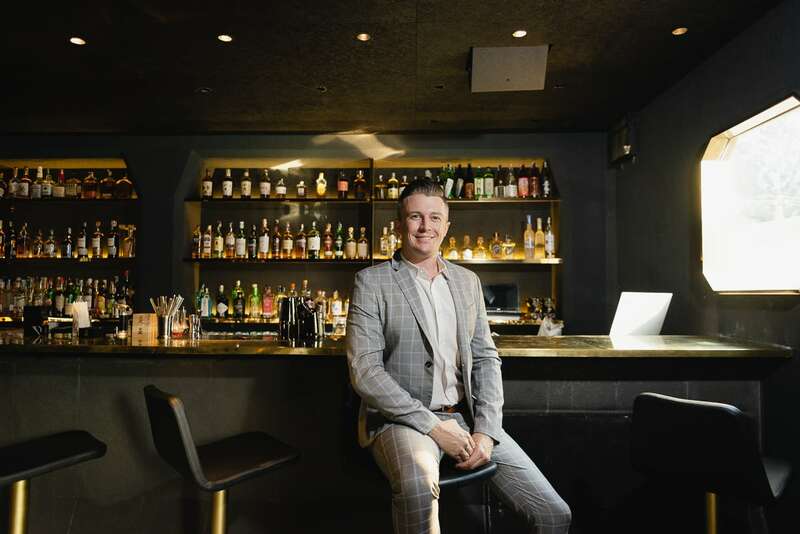 The Firkin Bar, which opened in October 2017, has built a dedicated clientele of after-work cocktail and whisky connoisseurs drawn to their 200+ bottles of spirits. It has the air of a best-kept-secret speakeasy, even though the owners prefer to refer to themselves as a bespoke cocktail lounge. Grace Zhang is Firkin’s head bartender. Grace Zhang Firkin Head Bartender. I always go to District 4 for street food too—anywhere along Vinh Khanh Street. 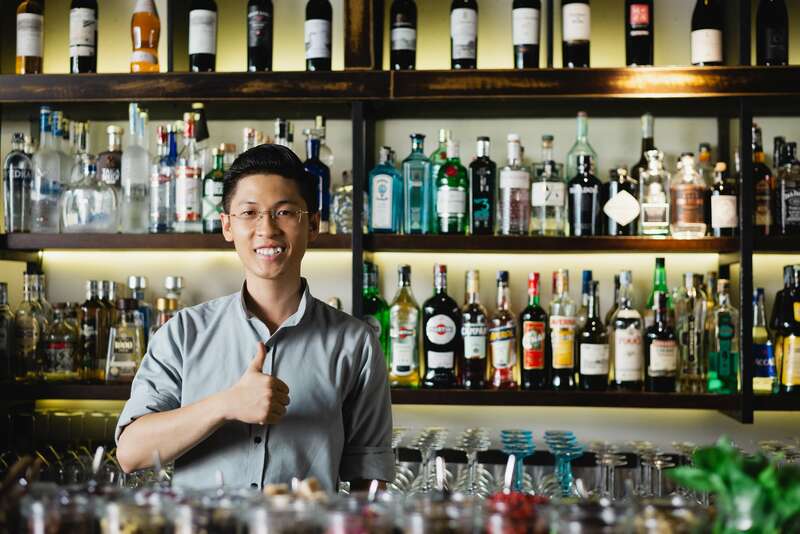 I go to The Racha Room or to Stoker Woodfired Bar and Grill because the vibe in both of those places is really comfortable and it is easy to start talking and get to know the person you’re with. At Stoker I like to start with an oyster shot, then have the beef tartare, and then have the dry-aged Porterhouse steak. There’s Layla Eatery & Bar. It feels so free and easy-going in there—it always puts me in a good mood; perfect for hanging out with friends. I usually order a signature, like their toblerone cocktail, and some snacks like oysters, loaded fries, or a bowl of mussels. Later, I will probably be over at Snuffbox because I love the atmosphere there and the music that they play. It has the feeling of a secret place. I usually order margaritas there. Come to my house and give a try on my home cooking! I grew up in the Chinatown area of District 5. I like to go back there sometimes, especially with guests, to try the special Vietnamese food that has a strong Chinese influence. I recommend the hotpot restaurant Lẩu cá Dân Ích, the chicken rice restaurant Cơm Gà Đông Nguyên, and the noodle shop Tiệm mì Thiệu Ký in nearby District 11.